The Emily Carr String Quartet has quickly established itself as one of BC's finest music ensembles. 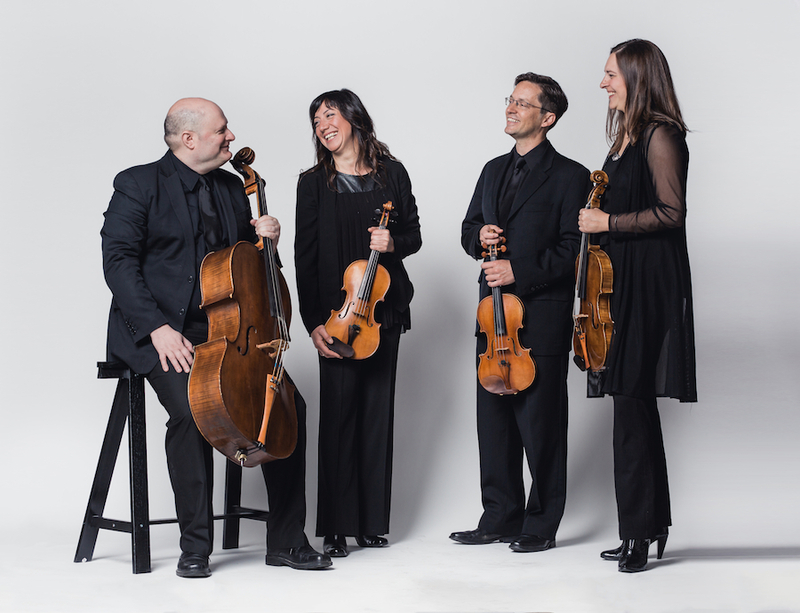 Formed in 2006 by members of the Victoria Symphony and the Aventa Ensemble of Victoria BC, the Emily Carr String Quartet has performed in Canada, the USA and Europe. They have participated in residencies at Stanford University and the Banff Centre and have collaborated with artists such as: the Lafayette string quartet, Marion Newman, Jamie Parker, Lorraine Min, Arthur Rowe, the Alcan Quartet and the Tin Alley Quartet. They have performed for: "ISCM's 2017 World Music Days", "Music in the Morning" and "Music on Main" concert series in Vancouver, the Ankara Music Festival, Hornby Festival, Victoria Summer Music Festival and the IAMA Canadian Music Showcase in Montreal. The ECSQ has been featured on CBC radio's "North by Northwest" and their CD "Hidden Treasure" was nominated for the 2012 classical recording of the year at the Western Canadian Music Awards. The quartet has also done much to honour the celebrated local artist, Emily Carr. They perform works that pay homage to her, such as Jean Coulthard’s "Pines of Emily Carr", and have incorporated her writings into some concerts, most notably in a summer series held at Emily Carr House in 2006, 2012 and 2014. In 2011, as part of the Victoria Symphony’s Emily Carr Project, the quartet participated in the première of "Stories from Klee Wyck" by local composer Tobin Stokes. The ECSQ is also devoted to contemporary music, and has commissioned three works from Canadian composers inspired by Carr’s work. The first was Tobin Stokes’s "Feathers" (2014) and the other two were 10th-anniversary commissions: Jocelyn Morlock’s "Big Raven" (2015) and "Strangled by Growth" (2016) by Jared Miller.